People Love Stuff Unicorns Love! Today, I'd like to discuss a subject near and dear to me: namely, how great I am. 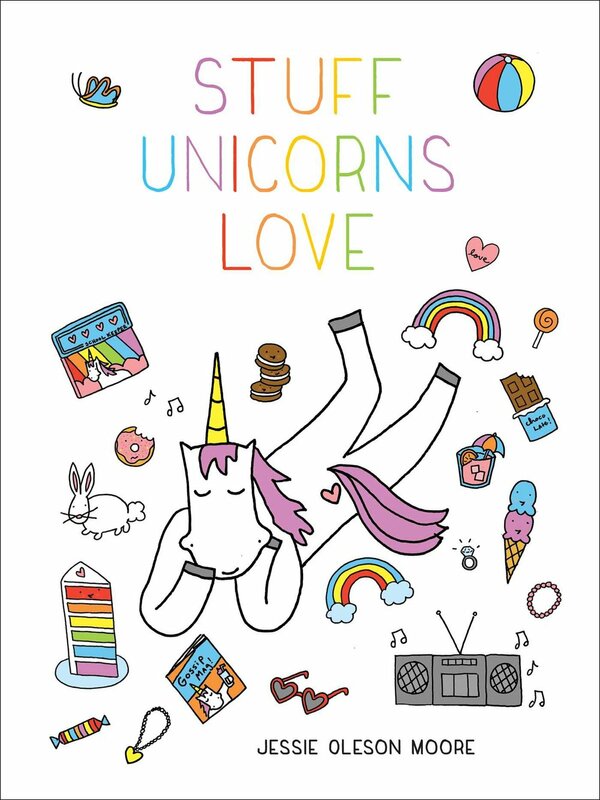 Joking aside, I must say with all honesty that I've been humbled and absolutely delighted by some of the wonderful accolades which have been heaped upon my newest book, Stuff Unicorns Love. "A whimsical, humorous imagining of what unicorns really think and what they truly love—including recipes for unicorn food, crafts, and the history of these mythical creatures. Glitter. Sparkles. Rainbows and shimmering manes. Sure, unicorns are magical, and their reputations have taken the world by storm, but how much do we know about what unicorns reallythink? What’s their favorite cookie? What about their favorite color? Would they really drink that pastel milkshake you found on Pinterest? Learn the truth about these adorable (and painfully honest) creatures, as well as the facts behind their origins. With illustrations and tons of fascinating unicorn facts throughout, this is a perfect gift for unicorn lovers of all ages." I know, pretty great, right? Well, I have to say that this is my absolute favorite book project to date. It's like the content just poured directly from my heart and soul onto the page. In that way, it was probably the easiest project I've ever worked on; I never had to seek out the muse, it was always there. As any writer or artist knows, that is the best kind of flow you can ask for! While the book has only been out a month and a half, it's already received some very kind words. I'd like to share some of the kind reviews and attentions the book has gotten, if you'd care to listen. If you've purchased the book (or even received it), would you consider leaving a review on Amazon? You don't need to have purchased it from Amazon to review it. Any review or bit of attention is hugely helpful to me, and I appreciate it! The Flavor Bender: OMG. Dini of The Flavor Bender made the amazing donuts pictured at the top of the post, INSPIRED BY MY BOOK! You must click over to the recipe post, and you must buy HER book, which also recently dropped: Secret-Layer Cakes. Sweet ReciPeas: Peabody (a longtime blog and IRL friend) says some really nice things about me here, and gives you a great recipe. The Nerdy Girl Express: A wonderful review that appreciates the joy that is this book! That's Normal: an amusing and totally sweet review! If I've missed a review that you've posted, let me know and I will add it! And once again: get ye to Amazon! Review my book!